The year is 1877, a group of local miners each writes a proposed name for the new town on a slip of paper and drops it into an old hat. A name is drawn and thus Hillsboro came to be. Like Kingston a few miles to the west, Hillsboro was a mining town that grew to prominence in the last few decades of the 1880s. 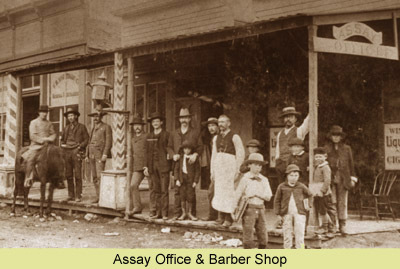 Despite frequent Apache raids and other hardships, Hillsboro grew into prosperous town of several hundred residents, and served as Sierra County seat until 1936. 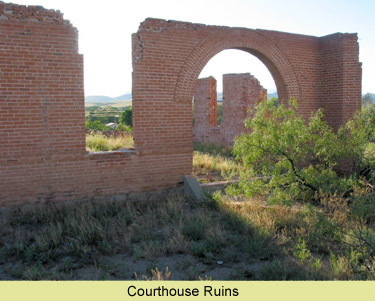 In 1898 the county courthouse, built in 1892, became the scene of the Fountain murder trial, one of New Mexico's most celebrated unsolved crimes. The trial was a typical example of the struggle between personal power and justice that was common in the Old West. Unlike some mining towns in the area, Hillsboro was never completely abandoned. After the turn of the century the town was still thriving, reaching a population peak of 1200 in 1907. Reduced mining, a bad flood in 1914 and competition from nearby Hot Springs (now Truth or Consequences) all contributed to the gradual decline into the peaceful small town of two hundred residents that it is today. The modern visitor is greeted by quiet tree-lined streets and rustic old buildings. 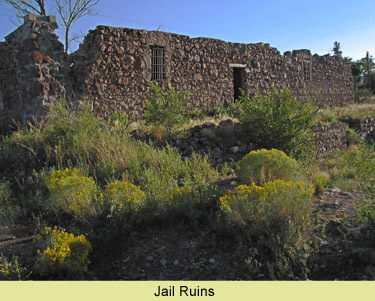 Modern points of interest include the Black Range Museum, remains of the once magnificent courthouse and jail and the recently restored Sierra County High school which now serves as a community center and site of the Heritage Music Festival. 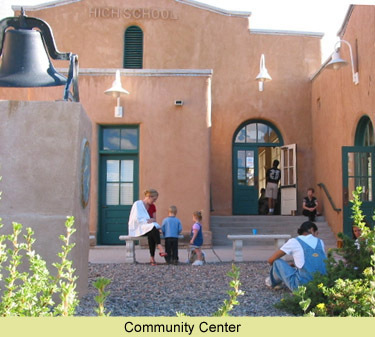 Hillsboro is located 32 miles SW of T or C. Take I-25 exit 63, turn right onto NM-152 east. It's about 17 miles to town from the exit.